Talented mare SKY LAKE will be looking for her third win this preparation when she steps out in tomorrow's Domesday @ Aquis Farm Class 6 Handicap (1400m) at Beaudesert. 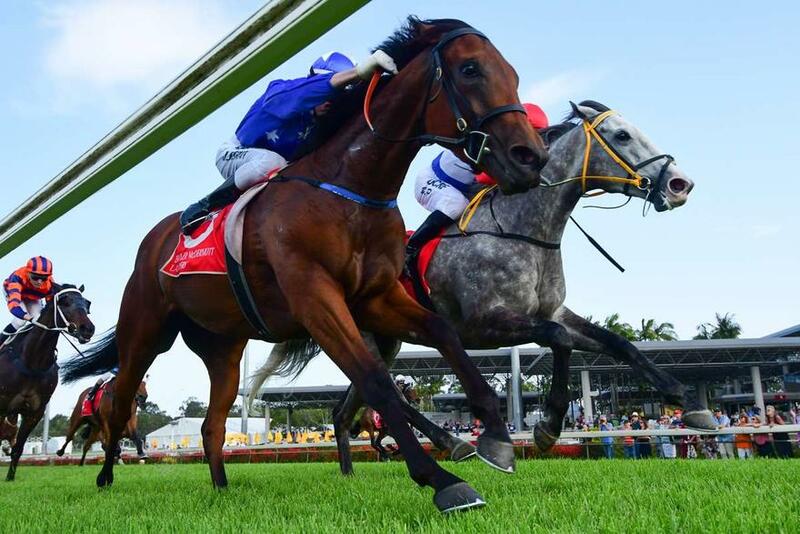 The daughter of All Too Hard has relished her time in Queensland since arriving with the stable, recording two wins and two placings from her five starts this preparation. SKY LAKE will be ridden by jockey Ronnie Stewart for the first time and trainer Chris Munce is hopeful he can make the most of a favourable barrier draw. The stable also has HELFUCHI and SHIELD WALL kicking off their preparations at the Beaudesert meeting, having both taken benefit from recent barrier trials.